Your Resonant Self - Description | W. W. Norton & Company Ltd.
Have you ever noticed how cruel and self-sabotaging your critical inner voice can be? Have you been looking outside of yourself for friends and loved ones to reassure you of your worthiness and lovability? The latest developments in neuroscience unveil the amazing extent to which humans are wired for connection, belonging and resonance with other humans. This wiring for connection is so strong, our nervous systems have the capacity to become our own compassionate self-witnesses, even when we have not had access as children to stable loving presence and warmth. The field of neurobiology and the science of mindfulness reveal that the human brain is capable of being engaged in the experience of upset (fear, anxiety, depression) while simultaneously observing and holding ourselves with kindness, as a loving parent or partner would. This ability to be both experiencing and holding the experience is the key to maintaining inner calm in the face of life’s challenges. If we learn to honour that each and every inner voice, no matter how distressing, has the desire to help us, we open to the possibility that each part of us has value. This help creates a gentle, accepting and warm resonance with ourselves that can remain stable and present, even when parts of us feel upset. In simple language and easy-to-follow exercises, Your Resonant Self synthesises the latest discoveries in brain science, trauma treatment and the power of empathy into an effective healing method that literally rewires our brain and restores our capacity for self-love and well-being. 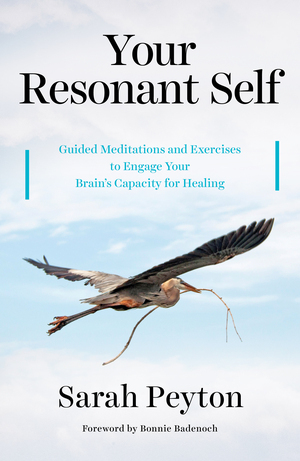 Each chapter weaves the core concepts of neurobiology with guided meditations and beautiful illustrations, painting an inspiring picture of the human brain’s inherent yearning towards healing and wholeness. Client-centered exercises that accompany the concepts put forward in Being a Brain-Wise Therapist and make the theoretical practical.